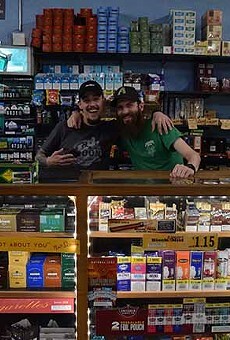 Tanner Clinch Moon shop has you covered for all your smoking needs—well, all your tobacco needs, that is. Moon's presence in Tucson is a boon to those insidious inhalers of all sorts. Whether your choice of vice be old-fashioned tobacco, those new-fangled vapes or of the slightly less legal variety, Moon has what you need. If their discounts alone aren't enough, locations often employ a cast of characters that certainly don't help in kicking that addiction as they keep you coming back for more, even if it's just to chat.